Give in to the dark side and get hooked on this on-trend take on the classic neutrals. 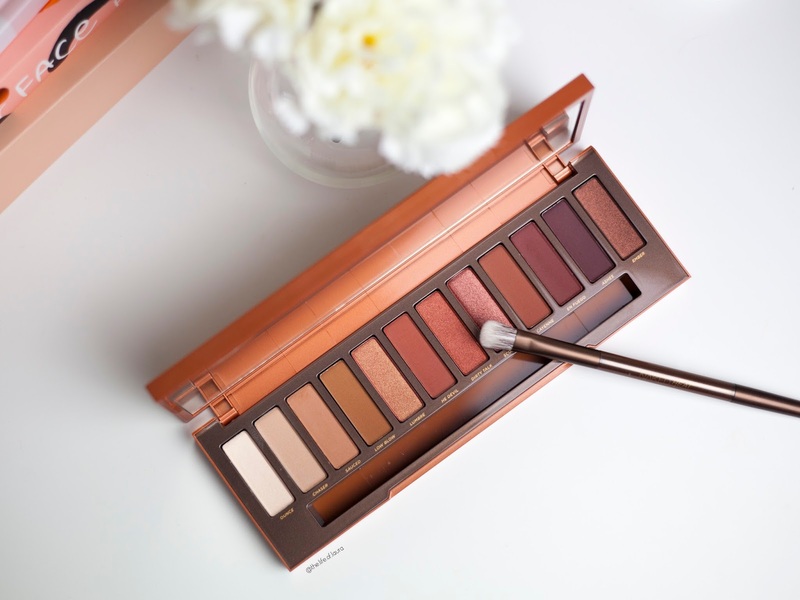 Loaded with an assortment of amber-toned shades, this seriously lust-worthy palette is equipped with every warm hue you need to create endless eye looks. Get ready to lose your mind over red-browns, deep bronzes, burnt oranges and multi-dimensional copper in an array of matte, shimmer and metallic finishes. Opt for understated with a wash of warm brown or amp up the intensity with a super sultry, smoked out look. 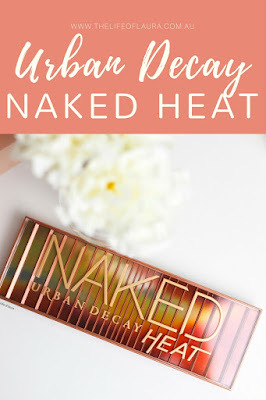 I have never owned an Urban Decay palette, or really any UD at all (I DON'T KNOW WHY, DON'T YELL AT ME!) but this palette has definitely made me question why I have never owned anything from them before, because this palette is heaven. Let's start with the packaging - it's a weighty palette, but a good quality kind of weightiness (if you know what I mean). 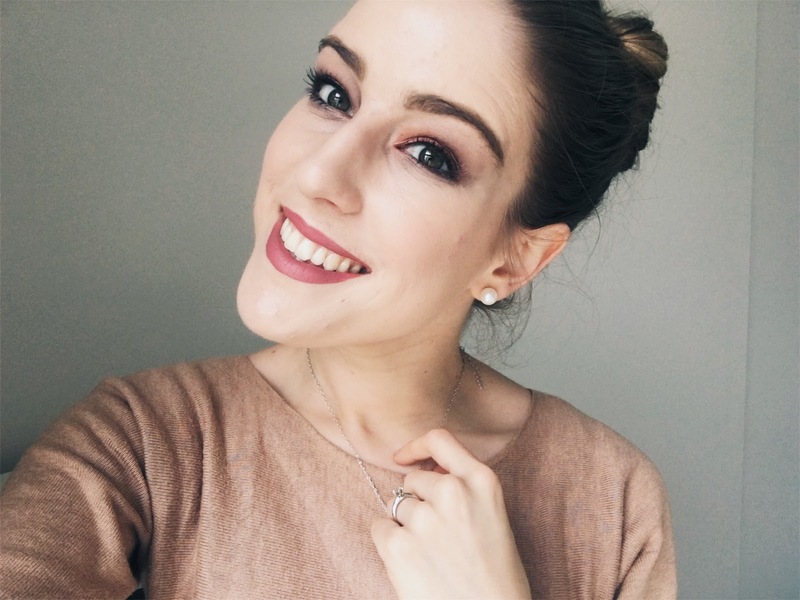 A lot of people have said that it is very similar to the Smokey Palette, which I haven't seen, so I can't comment! They have just nailed the outside, with the warm amber-tones taking focus. One of my favourite things about this palette is actually the brush. I am used to those padded brushes that are awful, which I always throw away. This brush is a double ended fluffy brush that is not only beautiful and soft, but oh so practical (I am always won over by practicality). Now I wouldn't describe these tones as 'naked tones', but they fit the heat concept so well and are so gorgeous that I ain't complaining. I think there is a really good mix of matte and shimmer shades in this palette. I don't know about you, but I like to have a bit of a mix in my palettes, I don't like to have all matte or all shimmer, I need a bit of both! There are about 8 matte and 4 shimmer. I have found them to be extremely pigmented and easy to apply with either a brush or fingers, whatever your jam is). They are creamy and feel like velvet, I am seriously in love. Let's appreciate for a moment, how bad my blending is in this eye look. However 'He Devil' looks gorgeous on the eyes haha so ignore the awful blending and just appreciate the colours! 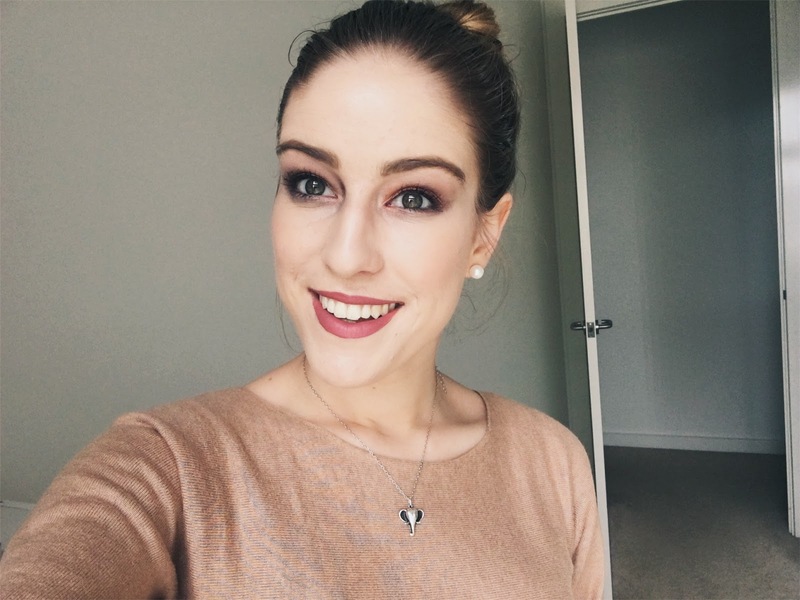 Not only do I think these are all brilliant on their own, but it would be the perfect companion to a darker smoky palette, such as the UD Smokey Palette.The main reason I decided to pick it up was because it was so different to anything I own, so it fit's perfectly into my make up collection. These colours are stunning! Love your look to! The colours in the swatches look so pretty! And I LOVE that eyelid colour! It reminds me of my Colourpop Weenie. Ahhh can't wait to get mine! 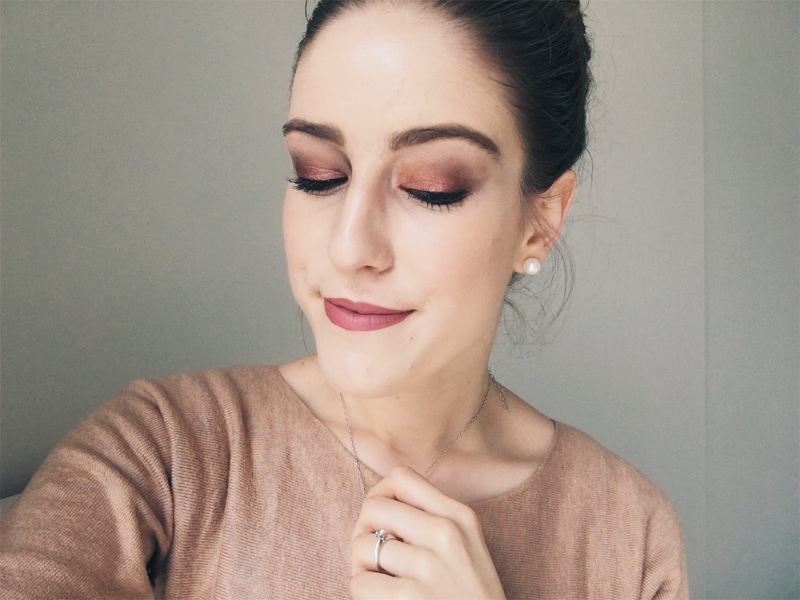 You created such a gorgeous look with this palette! 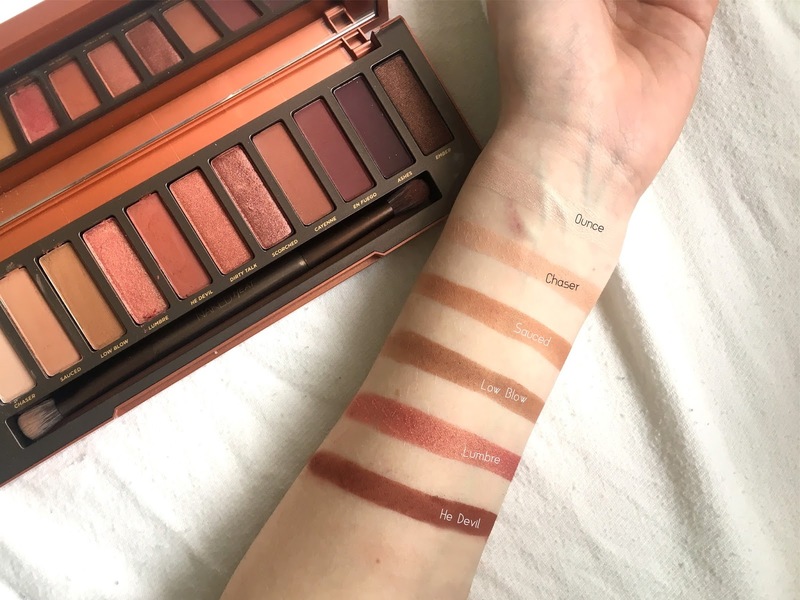 It's a gorgeous palette but a little too much on the warm side for my skin tone unfortunately! Oh my these shades are beautiful!! As much as a love the palette, I probably wouldn't pick one up. If I could buy three individuals shades, that would be perfect! Also, you look absolutely stunning Laura!! I love the packaging and the shades are amazing! I love palettes that have so many great shades to use! So pretty - I adore the packaging! 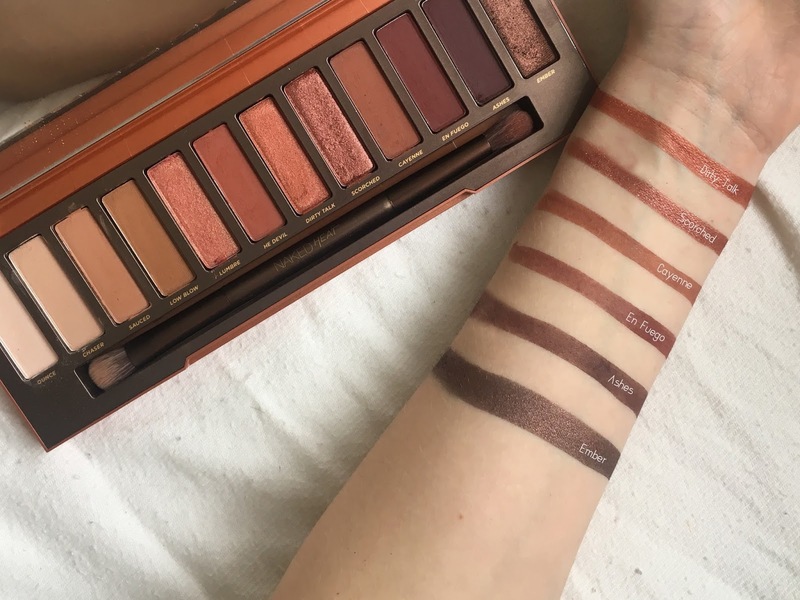 I think this is my favourite of the Naked palettes, but I won't be picking it up since I have so many similar shades already. I'm a sucker for those warm tones! 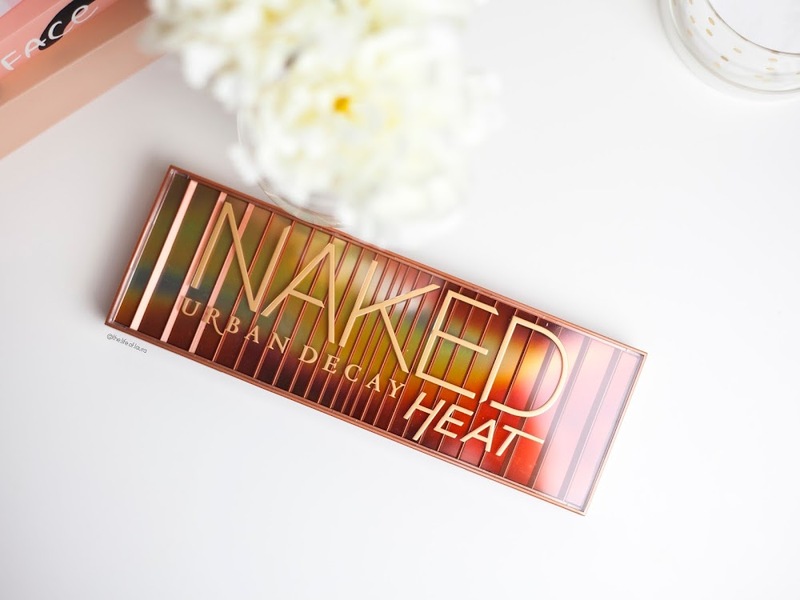 Every one should have at least one UD palette though haha! I've got the Naked 3 which is still pretty unique in my collection! 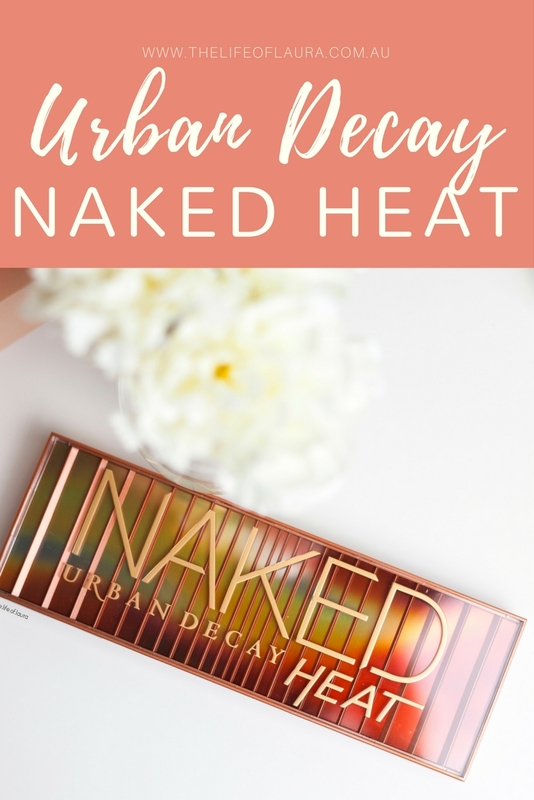 I've never owned any UD palettes but as soon as I saw this one I fell in love! I see a splurge coming on!! wow, this palette is so amazing. Thank you for the swatches, all the shades are so gorgeous and you look so beautiful. I was resisting this palette but now i think i am going to pick this on up. I haven't had a chance to look up whether or not this palette is vegan but I hope so! They honestly are! I have been so impressed!! I have similar shades so I was not sure whether I need this or not but looking at the swatches and the look you created, I definitely need this bad boy in my life.